Has your Sony LCD or LED screen been damaged, cracked or defective. How long does a Sony LCD, LED screen replacement service take ? In most cases we offer a same day service while you wait. The process usually takes about 15 to 20 minutes. There are cases such as where the LCD or LED screen is flickering or has backlight problems. These issues would require more time to make a diagnosis. Sometimes it could be a faulty Inverter board ribbon cable or a component failure on the motherboard. Who are Innovative IT ? Innovative IT is a laptop repair centre that specialises in Sony LCD and LED replacement services. All our engineers have computer qualifications and electronics skills to troubleshoot your laptop problems down to the component level. We have been in the business since 1989. Do I get a warranty on my Sony LCD or LED replacement ? Innovative IT offers a 3 months warranty on all repairs or new parts supplied. All warranties are back to base. How much does a Sony LCD or LED screen cost ? Usually the prices start from £110+vat for supply and fit for a new Sony LCD or LED screen. Innovative IT is based in SE1 close to Tower Bridge and a 15 minutes walk from London Bridge station. To book an appointment, give us a call on 020 7394 2525 or email us at info@innovativeit.co.uk . You can visit our office from 9am to 6pm Monday to Saturday. Innovative IT also offers a collection service and the prices start from £15.00+vat. 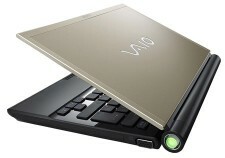 Original LCD Screens and spare parts of the following models of Sony Laptops are stocked in our inventory to enable us to get your laptop fixed in no time.